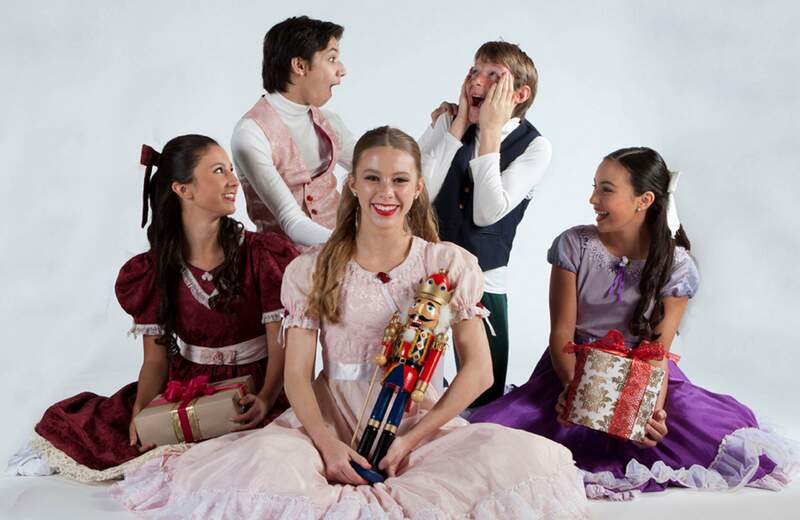 State Street Ballet of Santa Barbara will be performing “The Nutcracker” for four shows Dec. 7-9 at the Community Concert hall at Fort Lewis College. More than 80 local dancers will join the professionals of the State Street Ballet of Santa Barbara to present the magical holiday ballet “The Nutcracker” at the Community Concert Hall at Fort Lewis College. The ballet will perform two matinée and two evening performances Dec. 7 through 9. The San Juan Symphony will once again accompany the show. Artistic Director Rodney Gustafson holds true to the original classical ballet in this Tchaikovsky masterpiece, creating a traditional Nutcracker set in Victorian times and suited for all ages, the release said. “The Nutcracker” is based on the book “The Nutcracker and the Mouse King” by E.T.A. Hoffman, and tells the story of a young German girl, Clara, whose godfather, Drosselmeyer, a skilled clock and toy maker, presents her with a toy nutcracker during a holiday party. In Clara’s dream, the toy comes to life and escorts her on a journey to a magical land, where a cast of unusual characters entertains her through dance. Party Scene ChildrenBen Barrett, Elizabeth Barrett, Makayla Bogan, Dane Solecki, Marley Stordeur and Grace Tramnum. Queen’s MiceMia Bonanno, Maya Fontenot, Ashleigh Hoff, Ada Kelley, Quinlyn Kosnik, Julian Lochte-Bono, Ilah Mitchell and Zander Washburn. MiceGabriella Albert, Breeanna Barrett, Millie Grace Bird, Avery Blalock, Blythe Bleger, Mia Bonanno, Sophia Cramer, Maya Fontenot, Vivian Frazier, Esmerelda Garcia, Brianna Greer, Annabeth Hanson, Cory Hay, Ashleigh Hoff, Ada Kelley, Quinlyn Kosnik, Saya Lambert, Julian Lochte-Bono, Ilah Mitchell, Sophia Ottman, Olivia Slingerland, Sophia Valdez, Naomi Rose Verow and Zander Washburn. Lead soldiersGillian Reynolds and Lyla Solecki. SoldiersChloe Aitken, Violet Bleger, Lana Brooks, Linnea Dominick, Maia Garcia, Rose Hamill, Ayumi Lambert, Rosie LeCompote, Brooklyn McConnell, Evie Onions, Rogan Popp, Gillian Reynolds, Sutton Schreiber, Lyla Solecki and Alexis Wood. AngelsZara Rose Brown, Taegen Clifton, Hannah Dobesh, Wei Lambert, Samantha Phelps, Embrey Saville, Sophia Scavo, Eden Smith, Genevieve Thompson, Gwendolyn Thompson, Rexanne Trautmann, Anna Wiley and Laynee Williams. Bon BonsQuorra Benally, Augustina Bianchi, Mabel Frazier, Izabella Garcia, Eva Gomez-Cruz, Elena Lopez, Tess McAlvany, Elaina Onions, Abigail Phelps, Mayleigh Popp, Emily Rapiejko, Ellie Rice, Marina Roethenmund, Delia Jane Shostak, Gemma Torres-Deramo and Amelia Zalneraitis. Bon-Bon Big SistersViolet Bleger and Lana Brooks. State Street Ballet of Santa Barbara was founded in 1995 as a nonprofit organization by Gustafson, who was formerly with Geneva Ballet, Cleveland Ballet and American Ballet Theatre. What: “The Nutcracker” performed by State Street Ballet of Santa Barbara, with live music by the San Juan Symphony. When: 7:30 p.m. Dec. 7 and 8; 2 p.m. Dec. 8 and 9. Where: Community Concert Hall at Fort Lewis College, 1000 Rim Drive. Tickets: $28.80-$45, available online at www.durangoconcerts.com, by phone at 247-7657, or at the Ticket Office inside the Durango Welcome Center at Eighth Street and Main Avenue.